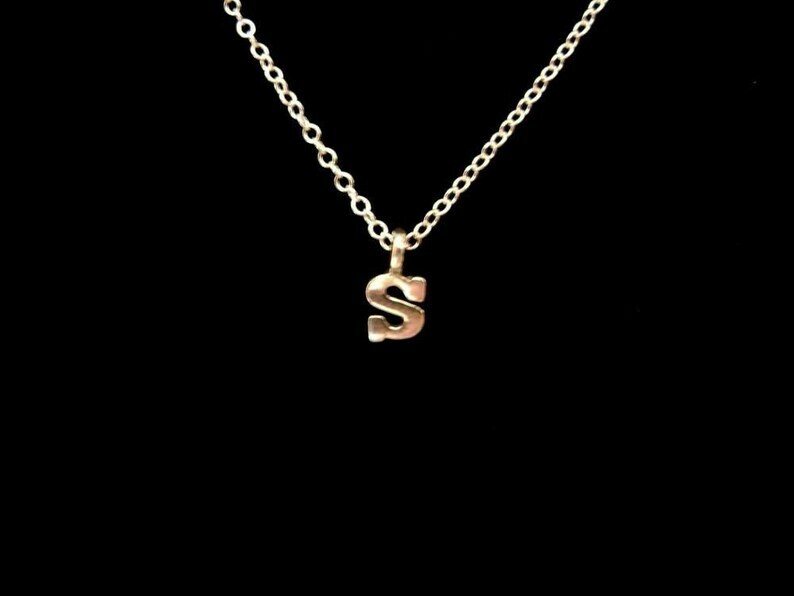 This tiny initial necklace is made with a sterling silver initial charm, hanging on a delicate sterling silver chain. I love to wear mine either by itself or as a layering necklace. The chain measures approximately 16 inches but can be adjusted upon request. If you are interested in adding other initials to your necklace ($5 each additional letter) you can purchase them here: https://www.etsy.com/listing/124377851/additional-teensy-tiny-silver-initial. Here is my two initial necklace listing: https://www.etsy.com/listing/62789839/teensy-tiny-silver-two-initial-necklace Please see my other listing for this necklace in gold. I want to thank Jacquelyn for the beautiful fourth photo and Jennifer for supplying me with the fabulous last photo in the listing. PLEASE PUT YOUR DESIRED INITIAL IN THE "NOTE TO BASILTHECAT" FIELD at check-out...thank you!